Foundations Recordings is proud to present our first compilation. Paragon Collective: Volume 1 consists of 13 unique tracks by up and coming electronic artists who are pushing the boundaries of genre, style, and atmosphere. The sounds range from slow drippy hip hop beats and bassy melodic instrumentals to sleek deep house grooves and kinetic soundscapes. The complete artist list includes Beshken, Dailon, G Jones, jOBOT, Morillo, Mosis, Grimecraft, GRiDWORK, Seapoint, Gillepsy, Bedrockk, Gladkill and Sugarpill. These artists give glimpses into a bright, diverse musical future and Foundations is there to create the groundwork. As a proficient multi-instrumentalist from a young age, LA based GRiDWORK is no stranger to the many facets a long musical life has to offer. from a degree in music from CSUN, working as a remixer/tech/engineer for 2 time Grammy nominated artist Carmen Rizzo and KCRW DJ Anne Litt, teaching ableton to fellow musicians, to playing in a live duo with Headtron artist jOBOT and producing under his own alias, Ryan Aicken is well-versed in the world of sound and offers a unique musical perspective. GRiDWORK contributes a diverse array of auditory textures and inspirations in his Foundations contribution "Just a Dream". KCRW 89.9 FM airs GRiDWORK's 'Understood' off of his first EP, 'Meld'. 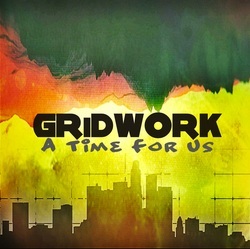 GRiDWORK makes a bang with his second release, "A Time For US". The five track EP takes you on a condensed journey through the many flavors of the west coast bass scene. GRiDWORK has taken some choice sub-genres and put his urban spin on them, bringing us an eclectic compilation of originals. The release starts off with two dark and glitchy tracks, that include a collection of melodic, squishy, smooth, and grinding basslines. The third track, "Home", reaches a funky plateau by adding guitar licks in for an organic texture. The free single, "Down The Line", moves the focus from the bassline to other instruments, by focusing less on single instrument melodies and more on multi-layered call & response parts. The final track, "Mimic", closes the release appropriately with GRiDWORK's eclectic take on downtempo. All of these tracks shine in their own way, so its no surprise that the entire release will have your ears hooked and keep your feet moving. 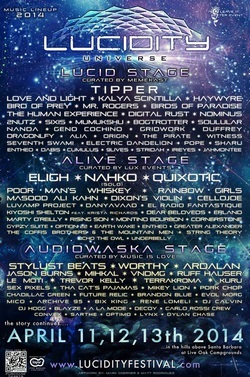 GRiDWORK is pleased to announce he will be playing the main stage at Lucidity Music Festival in Santa Barbara, CA April 11 - 13th 2014. 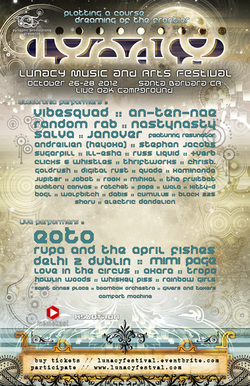 He will be sharing the stage with Tipper, Love and Light, Kalya Scintilla, Soulular, and many more. 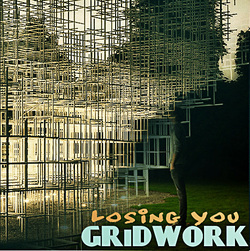 GRiDWORK released a new single title 'Losing You' via the Untz. For those NOT in the holiday mood, we've got a brand new electro-soul jam for you. LA's GRiDWORK gives the brokenhearted something to commiserate over during this festive time. Sampling The Temptations' "I Wish It Would Rain," Ryan Aicklen takes on the sour subject with some sweet subsonic synth work, and a tasty beat. You can download this guy for the price of a "Like" on his Facebook page. Give it a whirl! GRiDWORK is pleased to announce he is now a resident DJ for Bass Tribe LA, A weekly showcase of bass music at the Broadway Bar in Downtown Los Angeles. Stay up to date with shows and more info by following Bass Tribe on Facebook. 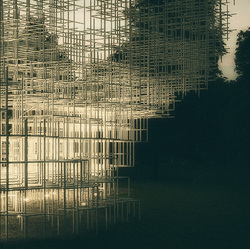 GRiDWORK releases The GRiD Vol. 1 for free download, a DJ mix hand selected from his fortnightly radio show on Glitch.FM. Tune into Glitch.FM every other Tuesday night from 8 - 10 PM (PT) for The GRiD, a two hour journey through a variety of bass music. 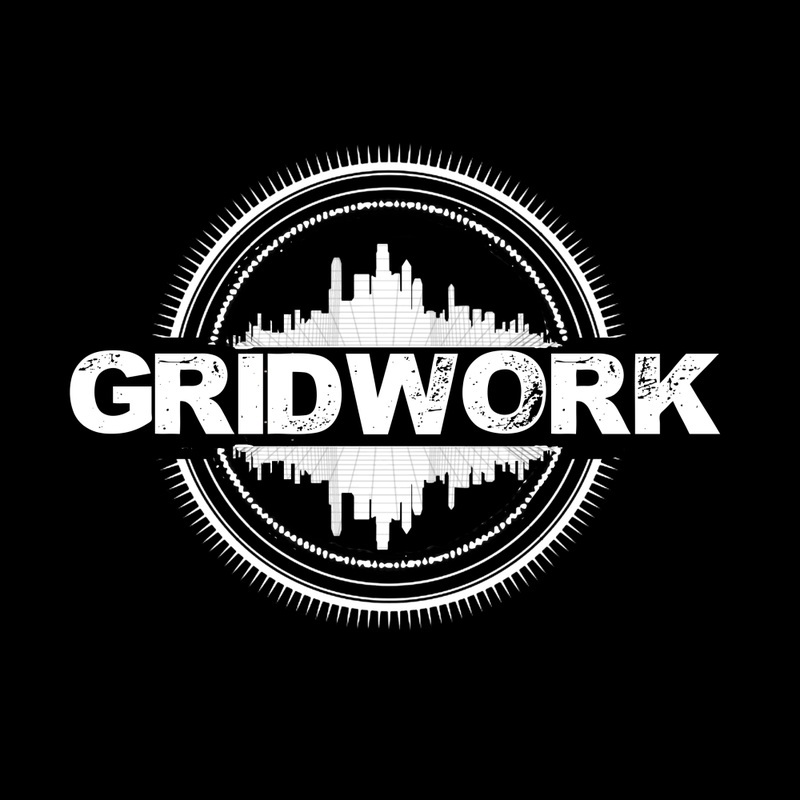 The host, GRiDWORK, debuted the new radio show on 9/10/13. GRiDWORK is pleased to announce he will be playing at thie year's Stilldream Music Festival in Belden, CA and The Soular Harvest Festival in Apple Valley, CA October 4th and 5th. At Stilldream, the LA producer will share the stage with The Polish Ambassador, Random Rab (live experience), Blutech, and many more. Check out the tour dates page for more info on each event. "The start of west coast festival season began with Lucidity Festival in the gorgeous mountains outside of Santa Barbara, California. Santa Ynez and the Live Oak Campground, which hosted the inaugural Lucidity as well as Lunacy festivals, provided a spectacular backdrop and fluid festival setting that proved to be a unique and memorable weekend of music, art, and workshops. Friday found festival goers land searching for the perfect spot to camp and greeting each other excitedly. Large oak trees and foliage provided a welcome respite from the sun, something lacking from many hot summer events." 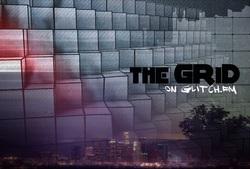 Glitch.FM will debut their fan submission show this Wednesday, May 1st from 4 - 6 PM (PST), airing a 50 minute mix from GRiDWORK. Tune in to Glitch.FM to check out a mix full of originals, unreleased material, and a few other choice cuts. 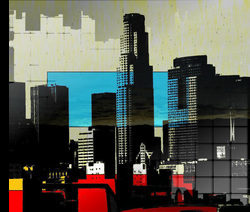 Los Angeles, CA, February 26, 2013: Ryan Aicklen (aka GRiDWORK), an up and coming electronic music producer residing in Los Angeles by way of Dallas, continues to impress listeners with his distinct electronic music encompassing the finer elements of hip-hop, glitch, funk, and soul. 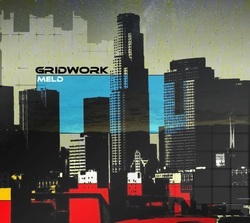 His debut EP, Meld, out February 26th, 2013 via GRiDWORK’s website (gridworkmusic.com), is no exception. Staying true to the EP’s title, GRiDWORK’s compositions mesh together intricate sample edits, lush soundscapes, glitch textures, and big bass to create a unique west coast bass sound. GRiDWORK's latest release, 'Where You Are', is featured on www.gottadancedirty.com (GDD) in a 22-track download consisting of outstanding tracks hand selected by 11 of the website's writers. You can see the entire write-up here, including the download links. GRiDWORK just released a new tune titled, 'Where You Are'. This fresh blend of styles and sounds stays true to GRiDWORK's hip hop influences while touching on the finer elements of bass music. You can download it for free via Soundcloud. GRiDWORK is pleased to announce that he will be playing with his live band Continuum at a few shows throughout the month of October. Continuum will be playing between sets at the Big Bass Allstar Variety Show at the King King in Hollywood on October 12th, a benefit concert on October 24th in Los Angeles (more details to follow), and in Santa Barbara at the Lunacy Music Festival on the weekend of the 26th - 28th of October. Continuum (LIVE) is made up of electronic musicians GRiDWORK, Ryan Knights (Drums), and Headtron heavyweight jOBOT (Joe Wendt). jOBOT’s sleek futuristic production and flawless sound design mesh perfectly with GRiDWORK’s equally impressive hooks and musicianship. The unparalleled live drumming of Ryan Knights is sure to leave audiences picking their jaws up off the floor. Their sets are composed of beautifully orchestrated original songs seamed together flawlessly with 100% improvised jamming. 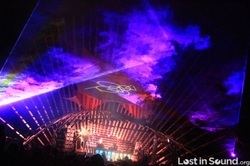 Their unprecedented and enormous soundscapes are what sets them apart from other live electronic acts. From over 200 entries world wide GRiDWORK's collaboration with Ace Ha, Groundscore, was a winner and chosen to be a part of the TestPress EP.04 Digital Release. The compilation will be issued on Epiphyte Records and will be digitally distributed by inGrooves direct to Beatport. Look out for the release on 9/11/12. GRiDWORK is pleased to announce new collaborations with producer, performer, composer, Carmen Rizzo. Electronic musician & two-time GRAMMY Nominee Producer-Remixer & Recording Artist Carmen Rizzo has had a very eclectic career. From writing, engineering & programming on Seal’s classic Seal 2 album to producing, & writing Paul Oakenfold’s Bunka album, remixing BT, Tiesto, collaborating with Tuvan Throat singers Huun Huur Tu, to co founding the ground breaking World Music act Niyaz. GRiDWORK will be assisting Rizzo with his TED presentation at Texas Tech in Lubbock, TX on 9/29/12. After the TED talk, the two producers will be doing an audio/visual set on the college campus. Stay tuned for additional upcoming audio/visual sets billed as Carmen Rizzo. GRiDWORK will be working visuals on stage with Rizzo as they deliver an interactive audio/visual journey. GRiDWORK's collaboration with Ace Ha, 'Groundscore', is out now on Far Arden's Compilation Vol. 1 released via iTunes, Beatport, and all other major outlets. This fresh compilation includes glitch hop pioneers, jOBOT, kLL sMth, ANNuNaki, Nicoluminous, Bass Science, and many more. TestPress is an international electronic music contest and networking event where music producers test audience reaction to their tracks, get a shot at proving their re-mixing prowess and receive direct and honest critiques by a panel of industry pros. Another TestPress event with great submissions and music! Congratulations to our winners: J Biotic, Church Williams, GRiDWORK and Robohemoth! The tracks will be featured on TestPress EP 4 with remixes, out later this summer. TestPress EP's now feature the best of the San Francisco Bay Area's up & coming talent. TestPress is the EDM music review event that takes place at Pyramind (www.pyramind.com). It's a unique event for EDM producers to showcase their work and earn a chance at being released direct to Beatport. Since passing 200 likes on the Far Arden Recordings facebook page, we’ve launched a bandcamp to have a spot for the free music. The first is an EP in the “facebook likes series” being released every 100 likes, a 5-track EP featuring GRiDWORK, Hypha, DuBuddha, SounSiva, and Dr. Knobz. You can visit the Far Arden Recordings bandcamp for a free download. All tracks are unreleased and exclusive favorites. GRiDWORK delivers a beautiful future bass single that blends unique instrumentation, lovestep and hip-hop into a classic track and a wonderful EP opener. GRiDWORK is LA-based and one half of Continuum with jOBOT. He just released a minimix on his soundcloud with about 16 minutes of all unreleased originals, including his “200 Likes EP” track and two Continuum originals. The second track by up-and-coming producer Hypha is another love song with impressive drum work, catchy 808′s and an unbelievable melody. Hypha is featured on Pixelord‘s latest remix release and also just released his own independent 2 track EP called “Distancia“ featuring a powerful remix by +verb. Look for Hypha on June 22 in Brooklyn, NY at Cameo Art Gallery playing with Illegitimate Children, DuBuddha, and SounSiva! 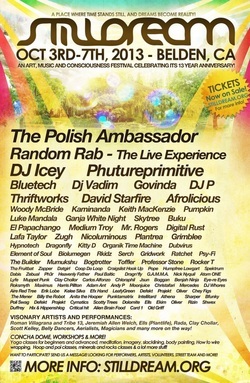 DuBuddha is featured on track three of the “200 Likes EP” with his track “Schwomp Land“. DuBuddha brings you on a psychedelic journey through his future bass creation; space-like samples & glitchy vocals. “Schwomp Land” is a B-side off his “The Golden Age” EP that we thought you all would enjoy as a free download. Look for “The Golden Age” on Beatport this month featuring the single “Purple Whale Fairy“. 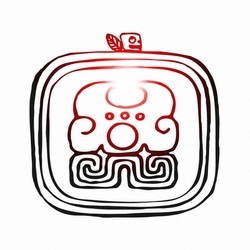 After a trip with DuBuddha, you reach track four, SounSiva‘s midtempo ”Tribe Light” with a purple bass / hip-hop vibe. SounSiva is seriously growing as an artist, and it shows in his recent production. Stay tuned for his debut EP, “Bucket and Pillows” out soon on Far Arden Recordings for FREE. For the east coast fans, this EP captures the sounds of Hypha, DuBuddha, and SounSiva extremely well and can help give you a “trailer” of the Far Arden showcase event on June 22 at Cameo Art Gallery. The final track is a real funky glitch-hop tune from Dr. Knobz. This one has been on Dr. Knobz‘ soundcloud, only for stream, for select months and the response has been outstanding. We are excited to include it in the 5-track EP and give it out alongside these other artists. Dr. Knobz is also a co-owner of GruntWorthy records with Carly DeLoach and is a major player in today’s future bass, & glitch-hop. So if you haven’t already, head to farardenrecordings.bandcamp.com and grab your FREE copy of the “200 Likes EP”. Music has been a driving force in Ryan Aicklen's life since childhood. Before switching his focus to electronic music, he had mastered playing the guitar and participated in his high school drum corp. His vast experience collaborating with other talented artists gave him the background needed to kick off a successful career as a producer. In 2008, he and friend Darin Jay Lehman (DJ Lehman) joined forces for a livetronica duo they called The Collab Project: a "journey through a musical blend of live electronic jam, hip hop, breakbeat, psychtrance, a little drum and bass, and whatever crunk sub-ing sounds they can explore." They soon found themselves touring the country, warming up the Muddy River Jam Festival crowd for Alex B, scoring late night gigs for the Disco Biscuits, raging renegade sets at Rothbury, celebrating Eeyore's Birthday in Austin, and more. His most recent collective began in 2010 and features current Headtron artist jOBOT. The collaboration, dubbed Continuum Live, also incorporates live instrumentation with electronic elements and delivers a combination of "heavy bass lines, melodic segues, and banging beats." GRiDWORK is the premiere solo project and production work of Aicklen. His debut single entitled "Groundscore" is a serious dance floor track that begins with a playful guitar and encompasses the finer elements of old school hip-hop, jazz, and glitch. The Untz is excited to announce the release of his second track featuring jOBOT and LA hip-hop producer Ace Ha. "Outside In" is a lush soundscape composed of glitchy beats, crunchy synths, and ambient electronic grooves that make for a west coast electro-funk sound.